A skyscraper from wood? Sounds fanciful, but that’s what a Japanese company is planning to construct. Sumitomo Forestry, which was founded in 1691, says it will build the world’s tallest wooden skyscraper for the Tokyo-based company’s 350th anniversary in 2041. The 350m tower, called W350, will contain 10% steel with the rest of the material for the braced tube structure coming from 185,000 cubic meters of timber. 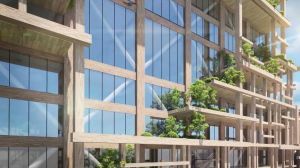 The 70-floor building, which will be home to residential apartments, offices and shops, will boast a hybrid steel-wood structure. It will be fortified by diagonal steel vibration-control braces added to steel and wood columns and beams in order to “prevent deformation of the building due to lateral forces such as earthquakes and wind,” the company says. It will be quite a feat of engineering. The world’s current tallest timber building is the 18-floor Brock Commons Student Residence in Vancouver, Canada. 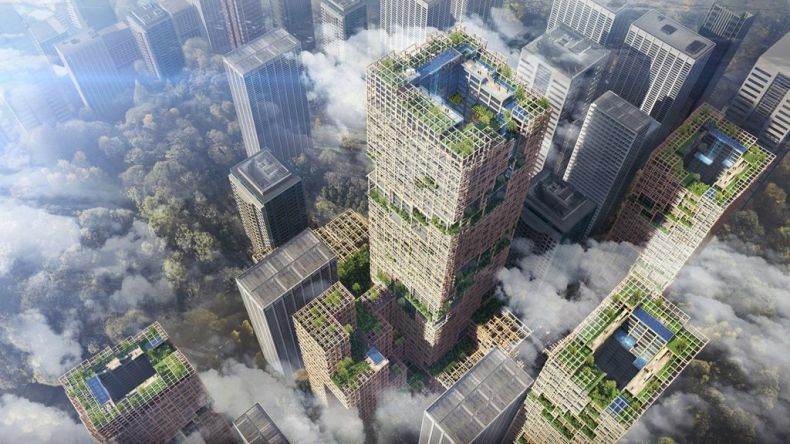 Sumitomo’s aim is to help “change towns into forests” by laying the ground for environmentally friendly cities where urban forests can thrive through an increased use of wooden architecture for high-rise buildings. “The outermost side [will be] designed with balconies that continue around all four sides of the building. 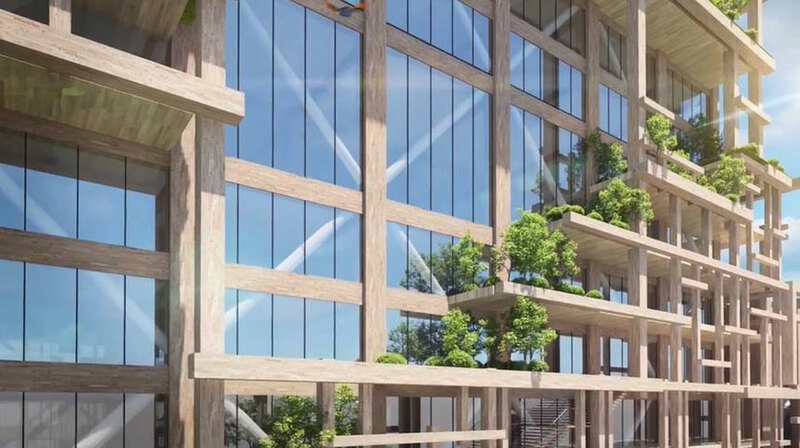 The balcony part [will] give the high-rise building a space in which people can enjoy fresh outside air, rich natural elements and sunshine filtering through foliage,” Sumitomo says. The question, though, is where all that timber will come from for such ambitions projects. Logging in places like Malaysia has wreaked havoc with virgin forests and their ecosystems and more logging will mean the death of their amazing biodiversity, or what’s left of it. Japanese companies, too, have been behind some of the intense logging that has been going on in places like Borneo. Sumitomo promises to rely on domestically sourced timber in Japan. “If the timber usage volume can reach the same level as the forest growth volume, this would promote forest maintenance such as thinning and replanting, helping to maintain forests in a healthy state and secure CO2 absorption volume,” it says.